The New York City section of the Hudson River almost never freezes completely. But, with high temperatures only in the teens the past few days, the river is currently churning with ice. Near the city, the Hudson is an estuary. Fresh water flows down from the north and salt water moves in from the Atlantic Ocean to the south. Since salt water has a lower freezing point than fresh water, it is usually only the fresh water, floating on top of the denser salt water, which freezes. This process forms ice floes – sheets of floating ice that oscillate with the tide. The last time the Hudson River froze completely, according to historical records, was January 25, 1821. The temperature in the city that day was a frigid -14°F. 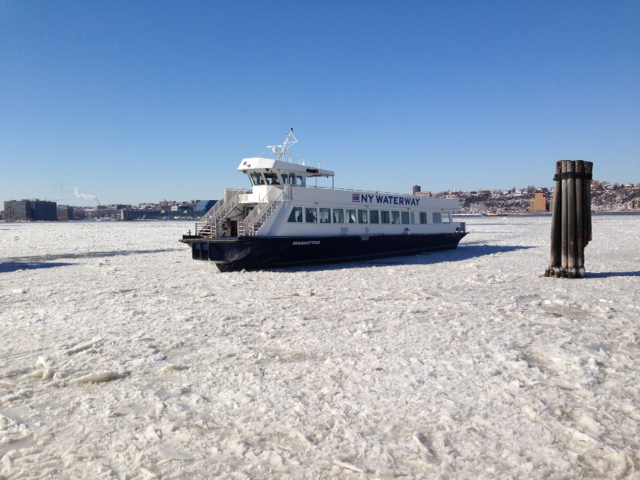 Looking west, toward NJ, a NY Waterway Ferry navigates the Icy Hudson River. Image sent in by David M, a Weather Gamut reader. 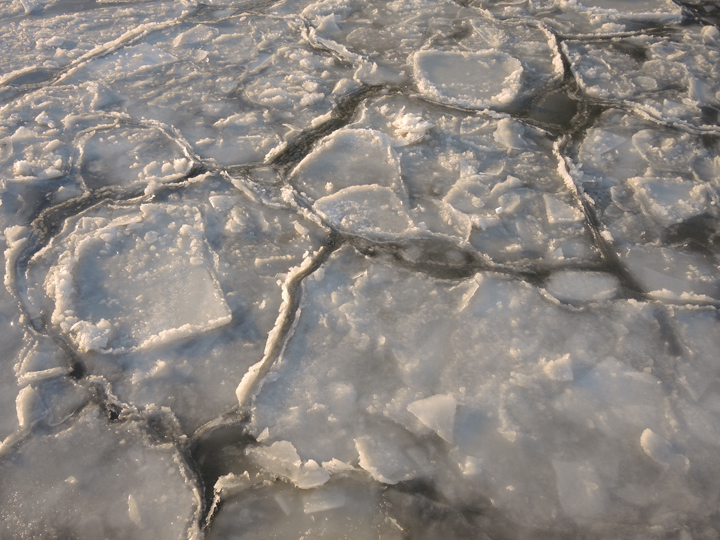 Detail of ice floes on Hudson River, January 23, 2014. Image Credit: The Weather Gamut. This entry was posted in weather and tagged cold, history, ice, nyc, winter by Melissa Fleming. Bookmark the permalink.